1. Introduction. Part I: Parents and School - A Brief History. 2. Parents: Help or Hindrance? 3. Parents after Plowden. 4. Parents in School. 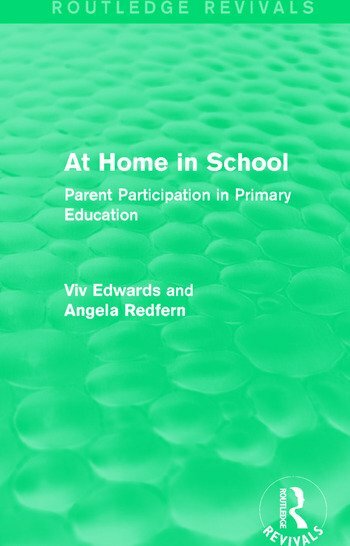 Part II: Parents and School - From Theory into Practice. 5. Apprenticeship in the Seventies. 6. Moving on to Redlands: The PTA. 7. Opening the Doors. 8. Parent Governors. 9. Parents as Helpers. 10. Parents' Mornings. 11. Parents as Partners.